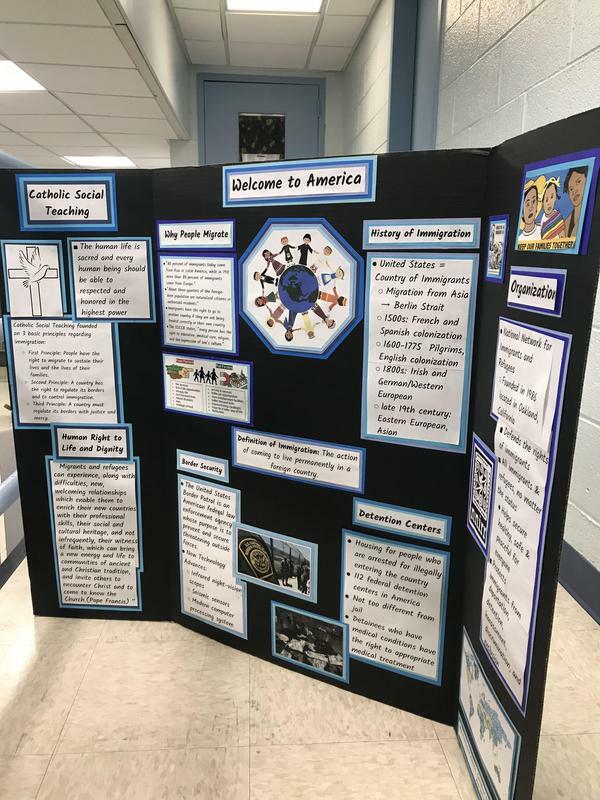 During 2019 Catholic Schools Week, the seniors’ Social Justice projects were on display for the IHA community to view. 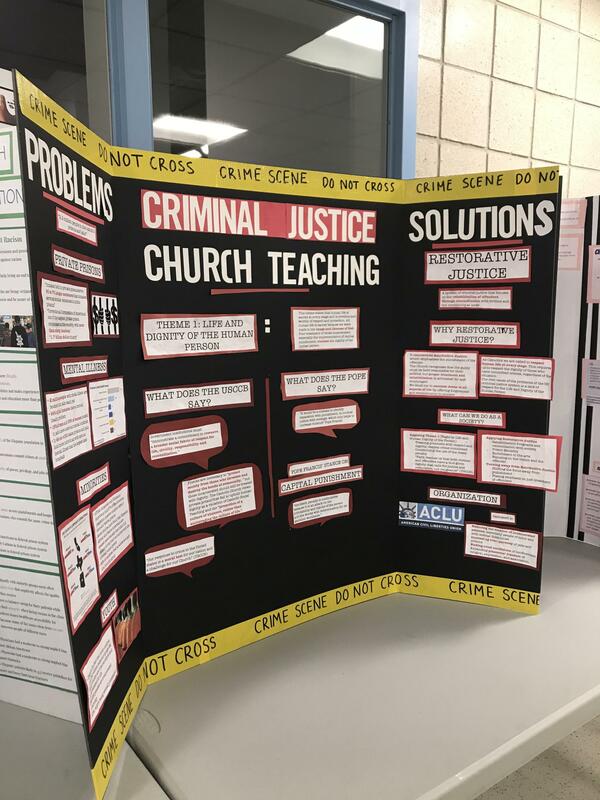 Small groups of seniors subdivided their social justice issues to research them further, including learning about the Church’s views on specific issues and ways we can help. 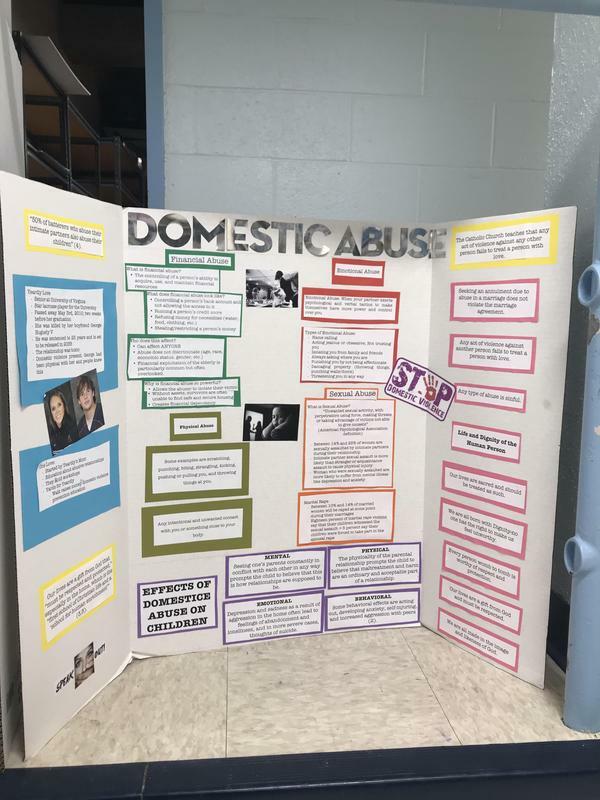 Their creative trifolds were the culmination of all of their hard work, and they were put on display to help educate underclassmen about these critical issues and how we can all make a difference.